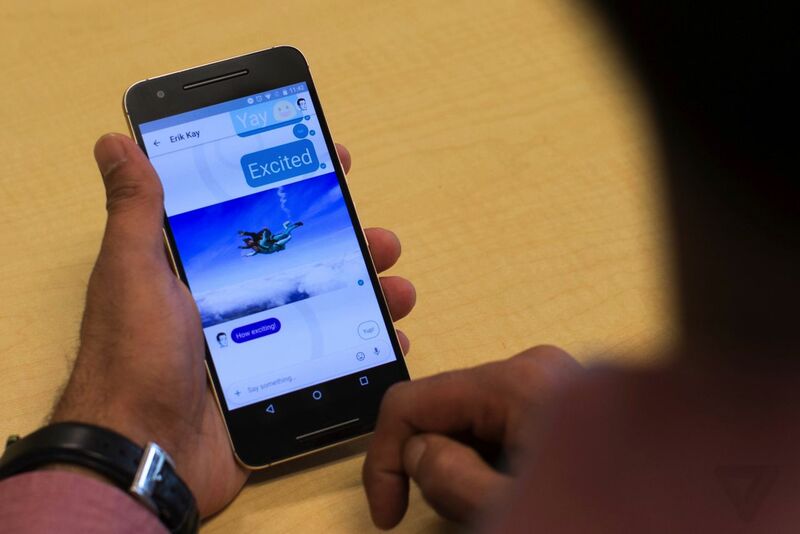 Google has announced three new communication apps this week: Spaces, Allo and Duo. That’s in addition to the three it already has. To understand why it’s doing this, and why it’ll do it again, we only need to look to its past. Twelve years ago, Google began its shift from being „just“ the world’s most popular search engine to something much more: It released Gmail. Soon, the company was offering several options for communication. By 2009 Google users had a pretty robust set of tools at their disposal. Gmail for email, Talk for real-time text and voice chats, Voice for VoIP calling, and Android to facilitate everything else. Unfortunately, this simple delineation would quickly disappear as the company launched more and more services. Google Wave was the first addition. Announced in mid-2009, it mashed together elements of bulletin boards, instant messaging and collaborative editing to pretty awesome effect. It grew a small but fervent community — I was a big fan — until Google halted development. Then came Buzz. Launched in 2010, it was Google’s first attempt at a bona fide social network. It failed miserably, not least due to complaints about the way Google forced it upon users and some valid privacy concerns. Although neither Wave nor Buzz really competed with what the company was already offering, that would change when Google launched its next attempt at a social network, Google+. In addition to standard social networking, Google+ also had two features that facilitated direct communication with individuals and groups: Hangouts and Huddles. Not to be mistaken with the current app, Hangouts at the time offered multiuser video chat for people in the same Circle. Huddle, on the other hand, was an instant messaging app for talking with other Google+ users. Huddle would soon become Google+ Messenger, offering the same functionality as Google Talk, while Hangouts would expand to seriously encroach on Google Voice. Within a year, Google had added the ability to make „audio-only“ calls by inviting users to join Hangouts over a regular phone line. Google now had two apps for everything, coupled with the problem that many users — even on its Android platform — were still using SMS to communicate on the go. It began work to rectify this and unify its disparate platforms. In 2013 we got an all-new Hangouts, available cross-platform and on the web. It merged the functionality of Hangouts and Messenger, and it also replaced Talk within Gmail if you opted to upgrade. Voice was still out in the cold and SMS wasn’t integrated, but the company was moving in the right direction. In late 2013, Google added SMS to Hangouts, and in Android 4.4 it replaced Messaging as the OS default for texting. By Oct. 2014 Google had integrated VoIP into Hangouts as well. It finally had one app for everything. You could assert that Hangouts was a better app because of the confusing mess that preceded it. Google tried lots of things and put the best elements from all of its offerings into a single app. That arguably should have been the end of the story, but it’s not. For whatever reason — probably because it figured out that a lot of Android users didn’t use Hangouts — Google released another app in Nov. 2014 called Messenger. This Messenger had nothing to do with Google+ but instead was a simple app focused on SMS and MMS. Hangouts could and can still handle your texts, but Messenger is now standard on Nexus phones and can be installed on any Android phone from the Play Store. This confusing muddle means that if you have, say, a new flagship Samsung phone, you’ll have two apps capable of handling your SMS (Samsung’s app and Hangouts), with the possibility of adding a third with Messenger. Hangouts, for the most part, has been doing a fine job. Still, SMS isn’t exactly a burning priority for most people, and Hangouts, for the most part, has been doing a fine job. I can’t say I use it that often — my conversations are mostly through Facebook Messenger and WhatsApp, because that’s where my friends are — but when I do, it’s a pleasant-enough experience. The same can be said for Google+: It’s actually a great social network now, aside from the fact that barely anyone uses it. That’s the issue that Google faces today and the reason why these new apps exist. More people are using Facebook Messenger than Hangouts. More people are using WhatsApp than Hangouts. More people are using Snapchat than Hangouts. And everyone uses everything other than Google+. So we now have three new apps from Google, each performing pretty different tasks. The first is Spaces. Think of it as Google+ redux redux redux. It takes the service’s fresh focus on communities and collections and puts it into an app that exists outside the social network. The end result is a mashup of Slack, Pinterest, Facebook Groups and Trello. It’s promising, but, as of writing, it’s very much a work in progress. Next up is Allo, a reaction to Facebook Messenger and Microsoft’s efforts in the chatbot space. It uses machine learning to streamline conversations with auto replies and also offers a virtual assistant that’ll book restaurants for you, answer questions and do other chatbotty things. Just like Spaces exists outside Google+, Allo exists outside Hangouts. You don’t even need a Google account to sign up, just a phone number — much like how WhatsApp doesn’t require a Facebook account. Finally we have Duo, which is by far the most focused of the three. It basically duplicates Hangouts‘ original function: video calling. According to the PR, it makes mobile video calls „fast“ and „simple,“ and it’s only going to be available on Android and iOS. Both Duo and Allo also have the distinction of offering end-to-end encryption — although Allo doesn’t do so by default — the absence of which has been something privacy advocates have hated about Hangouts. This summer, when Duo and Allo become available, Google users will be at another confusing impasse. Want to send a message to a friend? Pick from Hangouts, Allo or Messenger. Want to make a video call? Hangouts or Duo. Group chat? Hangouts, Allo or Spaces. It’s not user-friendly, and it’s not sustainable. Sure, Facebook sustains two chat services (WhatsApp and its own Messenger) just fine, but it bought WhatsApp as a fully independent, hugely popular app and has barely changed a thing. Google doesn’t have that luxury. Instead, it’ll borrow another Facebook play: Test new features on a small audience and integrate. Over the past couple of years Facebook has released Slingshot, Rooms, Paper, Riff, Strobe, Shout, Selfied and Moments. I’m probably missing a few. All of these apps were essentially built around a single feature: private chats, ephemeral messaging, a prettier news feed, selfies, etc. The vast majority won’t get traction on their own, but their features might prove useful enough to fold into the main Facebook and Messenger apps. And if one of them takes off, no problem, you’ve got another successful app. This has to be Google’s strategy for Allo, Duo and Spaces. We don’t know what Google’s communication offerings will look like at the end of this year, let alone 2017. But chances are that Google will continue to float new ideas before eventually merging the best of them into a single, coherent application, as it did with Hangouts. And then it’ll start the process again. In the meantime, Google will spend money developing x number of duplicate apps, and users will have to deal with a confusing mess of applications on their home screens. Dieser Eintrag wurde veröffentlicht in Mobility und getaggt mit allo, duo, Facebook, Gear, google+, googleio2016, hangouts, Messaging, Messenger, mobile, Services am 25. Mai 2016 von innovation. Is Your Messaging App Encrypted? Presidential hopefuls are arguing about it. Officials like FBI Director James Comey have publicly criticized tech companies for their encryption practices. Facebook-owned WhatsApp was temporarily banned in Brazil last week for failing to hand over user info it claims it didn’t have. Almost all messaging companies encrypt messages en route between a user’s device and company servers, where a company could then read them if needed. The problem arises, though, when messages are end-to-end encrypted, which means they are only readable on the sender’s and receiver’s devices. That means the messaging companies can’t read them. Companies like Apple offer this level of security to satisfy users looking for total privacy. Law enforcement officials hate it because it poses a serious security threat. Who can read your private messages? We checked in with some of the most popular messaging companies out there, and here’s what we found. Apple: Apple’s iMessages are end-to-end encrypted, which means they can only be read on users’ phones and the company can’t read them. There’s a caveat here, though. If you back up your messages in iCloud, then Apple can read them and could be forced to hand them over to authorities if provided with an appropriate warrant. Telegram**: Telegram messages can be totally private if you want them to be. The company offers end-to-end encryption if users turn on the app’s “secret chat” feature and thus can’t read those user messages. Regular messages are stored on Telegram’s servers. The app benefited immensely from Brazil’s temporary WhatsApp ban. Telegram claims that it added 5.7 million new users on the day WhatsApp was blocked. Line*: Line offers end-to-end encryption, but only if both the sender and recipient of a message turn on a feature called “Letter Sealing.” This will encrypt your messages so the company can’t read them, but regular messages without the feature are not end-to-end encrypted and Line may have to hand them over if required by Japanese law. Kik*: Kik also gets an asterisk here. Messages are not end-to-end encrypted, so the company can theoretically read them. But Kik claims it deletes user messages from its servers as soon as they’re delivered to a user’s device. That means it wouldn’t be able to share your messages with authorities if requested, and the length of time during which it could read your messages is extremely short. Facebook (Messenger and Instagram): Both Facebook Messenger and Facebook-owned Instagram encrypt messages only when they are en route between a user’s device and company servers where they are stored. This means Facebook might have to hand over private messages if required by law. Google: Messages sent via Google Hangouts are also encrypted en route and even on the company’s servers, but Google can still read them if needed. Encrypting the messages while on Google servers is intended to keep others from jacking in and reading them, but Google itself has the encryption key. This means Google might have to hand over private messages if required by law. Snapchat: Like Google, Snapchat messages are encrypted while at rest on Snapchat’s servers (though the company has the encryption key if needed). Snaps are deleted from the servers as soon as they’re opened by the intended recipients, and Snapchat claims these delivered messages “typically cannot be retrieved from Snapchat’s servers by anyone, for any reason.” But unopened Snaps are kept on the servers for 30 days before being deleted. That means Snapchat might have to hand over unopened, private messages if required by law. Twitter: Direct messages on Twitter are not end-to-end encrypted. The company might have to hand over private messages if required by law. Skype: Microsoft-owned Skype does not offer end-to-end encryption for instant messages. They are stored on Skype’s servers for a “limited time,” which means Skype might have to hand over private messages if required by law. Dieser Eintrag wurde veröffentlicht in Einfachheit, Gadgets und getaggt mit Messaging am 24. Dezember 2015 von innovation.